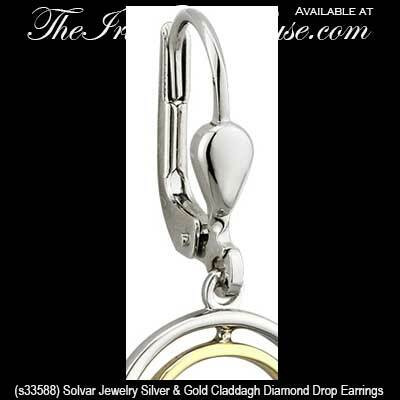 Sterling silver Claddagh drop earrings feature diamond hearts along with 10K gold accenting. 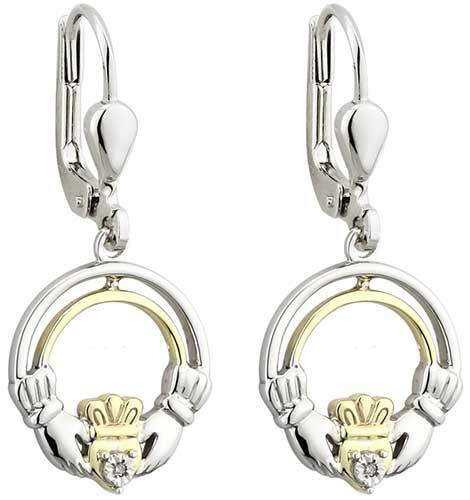 This sterling silver Claddagh earrings feature diamond studded hearts along with 10K gold accenting that includes the crown. The diamond Claddagh earrings are a drop style on latching Eurowires that measure 1/2" wide x 1 1/8" tall, to the top of the wire. 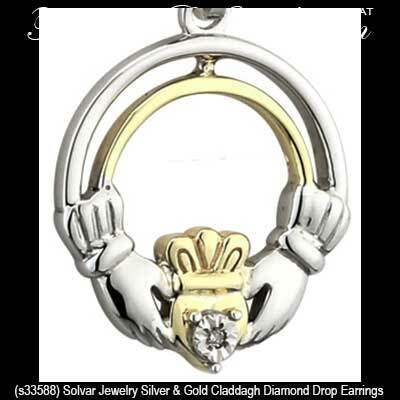 Claddagh pendant cast in sterling silver features a diamond heart along with gold accenting.